Get ready for your next moment in the spotlight with professional help from PageantDesigns.com. At Pageant Designs, we like to believe that a true beauty queen exudes confidence at every turn no matter what. However, in order to feel truly confident on stage and bring home that coveted crown, you need just the right pageant look. And that's where we come in. No matter what stage of competition you are in, from baby's first pageant all the way through grown-up competitions, we have just the right formal-wear for you. 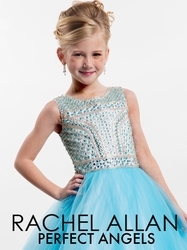 And that includes some of the top pageant dress designers, including Tiffany Princes, Rachel Allan, Ritzee Girls, Little Rosie, and many more for pageants Winter 2018-2019. 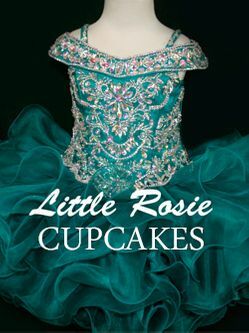 Whether covered in rhinestones and sparkles like the clear night sky or floating on air in a bouffant ruffled skirt akin to a delicate pastry at the finest French patisserie, you're bound to find your next winning pageant look at PageantDesigns.com. What's more, we're constantly stocking new styles, so be sure to check back often for the latest looks as you plan out your annual competition schedule. But, despite our name, we're not just about pageants. We also stock plenty of formal-wear 2018 for other special occasions, like Quincea�eras, homecoming, prom and even weddings, as well as accessories and even pageant swimwear to complete your look. 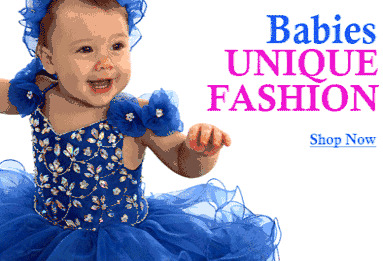 In short: The next time you need a fancy dress, PageantDesigns should be your first stop. And we'll likely also be your only stop. 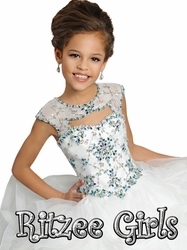 And while our everyday prices are hard to beat, you'll also find a dedicated sale section for even more unbelievable bargains on the best in pageant and special occasion formalwear for girls and misses.